According to an article on Greenville Online, the Greenville Health System Swamp Rabbit Trail may eventually expand even more, potentially tripling is current length. The Laurens County Trail Association wants to eventually add 40 miles to the popular walking and biking trail, expanding it southward as far as Clinton and Joanna. The project has gained the attention of the U.S. National Park Service (how cool is that? ), which will lend its expertise and will aid Laurens County leaders in their planning efforts. (Read the full details here). The expansion is still a long ways off, but planning meetings start this month. Keep an ear open for updates! 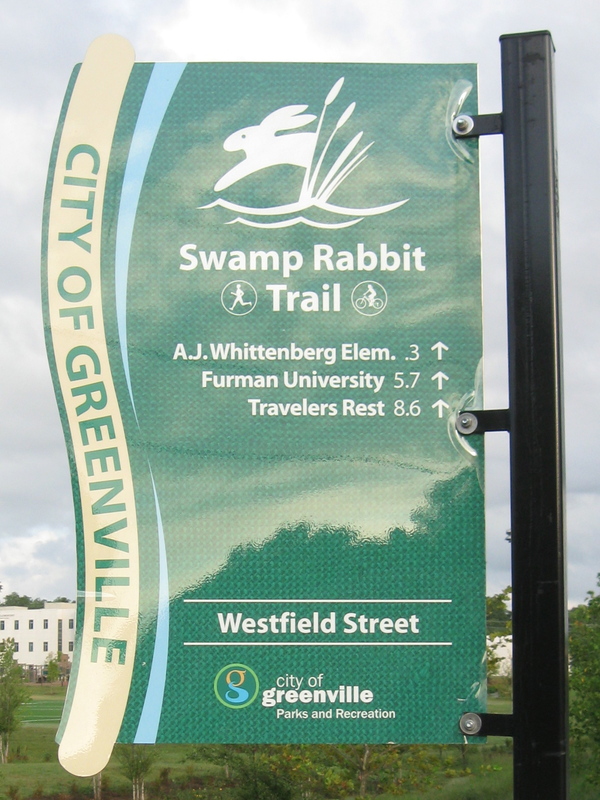 Currently the Greenville Health System Swamp Rabbit Trail is 18.7 miles, stretching from Traveler’s Rest all the way to Greenville Tech. Its last expansion was in July of this year, which added 1.2 miles north of TR. Originally a defunct rail line, the Swamp Rabbit Trail is now a paved, motor-free trail ideal for walkers, runners, and Greenville’s vibrant cycling community. It’s one of Greenville’s most popular attractions, drawing an estimated 400,000 users each year. The Swamp Rabbit Trail has had a positive economic impact on nearby businesses and the county’s economy in general, especially downtown Traveler’s Rest. It’s done great things for the financial and physical health of Greenville County residents so far, and we here at The Haro Group are excited to see what happens with the expansion. P.S. In case you’re wondering, the trail’s namesake “Swamp Rabbit” is an actual animal. One once attacked U.S. President Jimmy Carter. We are not making this up. It’s on Wikipedia so it must be true.